This has been an issue of great interest to me, as many of you know. The Sunday Mail of the 29th Sept had a supplement on Breast Cancer and mammography and gave a very one-sided view on these issues. It is very important for women to be informed about both the benefits and dangers of screening.. Commercial interests mean only the benefits get mentioned – never the harm caused. See my web site under Breast screening – mammography for more information. Alexandra Barratt receives funding from NHMRC. Gemma Jacklyn does not work for, consult to, own shares in or receive funding from any company or organisation that would benefit from this article, and has no relevant affiliations. University of Sydney does not contribute to the cost of running The Conversation. Find out more. When they were introduced over 20 years ago, national breast screening programs were a milestone in public health. They were based on evidence from randomised trials that screening saved lives. But there are now serious doubts about what these programs can and have achieved. The first major challenge came with the Cochrane Collaboration’s review of the benefits and harms of breast cancer screening in 2001. At that time, publication was delayed while the Cochrane reviewers and authors sorted out their differences. Meanwhile, The Lancet published the review, triggering a heated debate about the value of breast cancer screening that has continued ever since. The latest update of the review, however, went quietly by. In 2001, reviewers Peter Gotzsche and Ole Olsen pronounced mammography screening “unjustified” on the evidence from randomised trials. But an editorial in the same edition of The Lancet challenged their assertion. Evaluation of the outcome of cancer screening at a national level is very much a long-term proposition. In the latest update, the summary from all the available randomised trials of mammography screening hasn’t changed much. That’s because, in the intervening decade, the result of only one more trial has been published. This hasn’t changed the bottom line: taken together, the eight randomised trials found screening reduced breast cancer deaths by about 20%. But the three best-quality trials did not show a significant reduction, even after following up for 13 years. What is new in this review is a discussion of the evidence about breast screening that’s accumulated from other sources since screening became common practice. Does breast screening save lives? First, it’s clear that breast cancer treatment has advanced significantly in the last few decades. A 2012 meta-analysis found that polychemotherapy can reduce breast cancer deaths by about one third, and earlier work demonstrated the benefits of hormone therapy. A 2012 study assessing the impact of screening in Australia found that advances in treatment (rather than screening) were primarily responsible for the decline in breast cancer deaths seen over the last 20 years. So it’s plausible that screening isn’t as necessary now as it was back in the 1960s to 1980s, when most of the randomised trials of screening began. What’s more, there’s a very mixed picture emerging from non-randomised (observational) studies of screening, including screening program evaluations. BreastScreen Australia (established in 1991) reports that the national screening program has reduced breast cancer deaths by between 22% and 30%. It notes that the biggest effects are in areas where participation in screening is greatest. This is at odds with the Australian study described above. There, researchers found the benefit happened too early (before breast screening was fully implemented) to be attributed to screening, and was greatest among women between the ages of 40 and 49, who have the lowest participation in screening. It was lowest among women aged 60 to 69 years, who have the highest participation in screening. The Cochrane review outlines a similarly confused picture from international observational studies. Some claim screening has delivered expected declines in breast cancer deaths across Europe, the United Kingdom and the United States. A US analysis, for instance, estimated that between 28% and 65% of the decline in breast cancer mortality is due to screening with the rest coming from better treatment. But other studies show that declines in breast cancer death rates have been just as great or greater among women too young for screening, or in areas where screening has been limited or not provided at all. Increased breast cancer awareness – or hyperawareness – may also play a part. If screening works, it must do so by picking up breast cancers earlier so that there should be a drop in the rates of advanced breast cancer, as well as a drop in deaths. But there has been only an 8% decline in the rate of advanced (late stage, or metastatic) cancer in the United States over the last 30 years. This suggests that screening is having, at best, a small effect. This something is better than nothing, right? Not quite, because breast screening can also cause harm. How much harm does breast screening cause? The randomised trials did not adequately measure the harms of breast screening. For the most part, they didn’t measure them at all. But evidence of harm has been steadily accumulating. The main harm is through over-diagnosis: harmless breast cancers found by screening are treated when without screening they wouldn’t have been found at all. In contrast to the small decline in advanced cancer rates, early-stage breast cancer rates have doubled over the last 30 years, strongly suggesting over-diagnosis. An estimated 1.3 million US women are thought to have been over-diagnosed due to screening. The impact on these women’s lives, on the lives of their families and the social and economic effects of over-diagnosis is worth serious consideration. While the frequency of over-diagnosis is still contested (estimates range from one-and-a-half to ten over-diagnosed cases for every breast cancer death prevented), its existence has been documented in countries including Canada, France, Australia, Norway and Sweden. Advocates of screening point out that even if some women are over-diagnosed, the side effects of early breast cancer treatment (surgery, radiotherapy, hormone therapy and chemotherapy) are worth it. Better to be safe than sorry. But evidence of unexpected side effects is also growing. We know now that radiotherapy increases women’s risk of having and dying from heart attacks five to 20 years after treatment. It also increases the risk of lung cancer. Late effects of radiotherapy are important as most women with breast cancer have radiotherapy, and live for many years after it. It’s especially important in light of over-diagnosis of screened women in their 50s and 60s. This uncertain picture of breast screening from 20 years of observational (non-randomised) studies isn’t surprising. Observational studies provide only “silver medal” evidence about the benefit and harms of screening because they are very susceptible to bias. In particular, they suffer selection bias – comparing groups of screened and unscreened women who are different in key ways, such as their risk of breast cancer, use of hormone replacement therapy, and lifestyle factors including diet, obesity, reproductive lives and alcohol consumption. This can lead to misleading conclusions about how many lives are saved by screening and how many cases of over-diagnosis are caused. Observational studies are also liable to length bias (the tendency of screening to find slow-growing cancers that have excellent prognosis, contributing to over-diagnosis) and lead-time bias (screening finds cancers earlier but may just advance the time of diagnosis rather than prevent death, giving people more “disease time” but no extra years of life). These are prone to make screening look more effective than it really is. This is why both the UK Independent Breast Screening Review Panel and the Cochrane Review continue to rely on the older randomised trials that date back to the 1960s. They may be old, but these randomised trials at least provide evidence with a much lower risk of bias. It’s 50 years since the first breast screening randomised trial began, and ten years since the first Cochrane review spoke strongly of screening’s harms. Evaluation of national breast screening programs has clearly been a long-term proposition but one that has failed to resolve our most important questions: does screening work today? And how much over-diagnosis does it cause? It’s time to acknowledge the true depth of our uncertainty about both the benefits and the harms of breast cancer screening as it is practiced today. To resolve these questions, we need to do new randomised trials of modern breast cancer screening. New trials are needed because the practice (the quality of mammographic imaging has improved) and context (breast cancer treatments are so different now) of screening has changed so much that we can’t reliably apply the results of the old trials any more. And we need to do randomised trials because more than ever we need “gold medal” evidence – 20 years of observational studies has proved that observational studies are just not good enough to answer our fundamental questions about modern screening. Robyn Lucas receives funding from National Health and Medical Research Council and Cancer Australia. Terry Slevin receives funding from Cancer Australia as an Associate Investigator on a study examining the impact of vitamin D supplementation and sun exposure and their impact on vitamin D levels. He is affiliated with Cancer Council Australia as Chair of the National Skin Cancer Committee. His employer, the Cancer Council Western Australia also sells sunscreen within its range of sun protection products. Australian National University does not contribute to the cost of running The Conversation. Find out more. Vitamin D has emerged as “the vitamin of the decade”, with a long and growing list of maladies supposedly caused through its absence or prevented through its bountiful supply. But is there adequate evidence for the wonders claimed for vitamin D or are we getting a bit carried away? 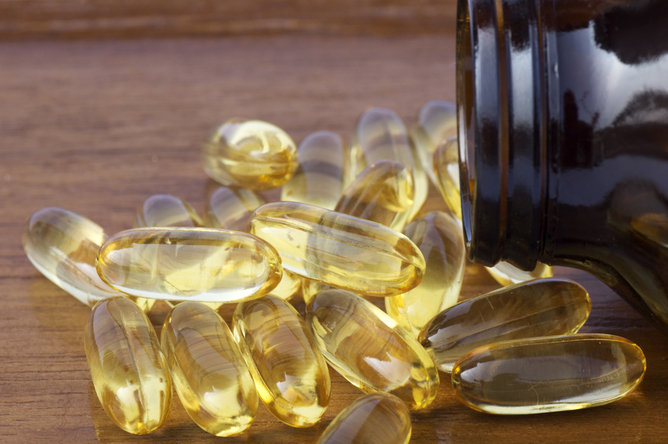 Before you answer that, here are some common misconceptions about vitamin D that you should know about. Everybody knows their vitamin D level should be above …?It’s a fairly universal agreement that a blood concentration of 25-hydroxyvitamin D (the usual measure of vitamin D status) below 25 nanomoles/litre (nmol/L) should be considered a serious deficiency. Anyone who is tested and returns results like that needs to talk to their doctor about proper management. But knowing what levels are sufficient is trickier. health benefits beyond bone health — benefits often reported in the media — were from studies that provided often mixed and inconclusive results and could not be considered reliable. So there’s clearly contention about how much is enough. A level of 50nmol/L is sufficient to optimise the bone health of the majority of the population. But other groups recommend 75nmol/L, 100nmol/L or higher (note that US sites provide recommendations in nanograms per millilitre or ng/ml – multiply by 2.5 to convert to nmol/L). There’s a vitamin D deficiency epidemic in Australia.Actually, what is most clear is that there’s an epidemic of vitamin D testing in Australia – a 94-fold increase from 2000 to 2010. Costs to Medicare have gone from $1.3 million in 2000/2001 to $140.5 million in 2012/2013. Some populations are clearly at risk of vitamin D deficiency. People who habitually cover their skin while in public for cultural or other reasons, for instance, and the immobile elderly who are rarely sun exposed. But the evidence of population-wide vitamin D deficiency is thin and unconvincing, at least in part because vitamin D tests are problematic and the desired level is hotly debated. If an unreliable test is used and the “sufficient” bar is set too high and more people are tested, then vitamin D “deficiency” will seem more common. A vitamin D test gives a simple answer and is accurate and reliable.This is definitely not so. If you take blood from one person and split it up into several samples and test these, you can get very different results between the samples. And it’s not just a little bit different. A recent Australian study assessing the consistency and accuracy of vitamin D tests found that between one-in-five and one-in-three participants were misclassified as “deficient”. 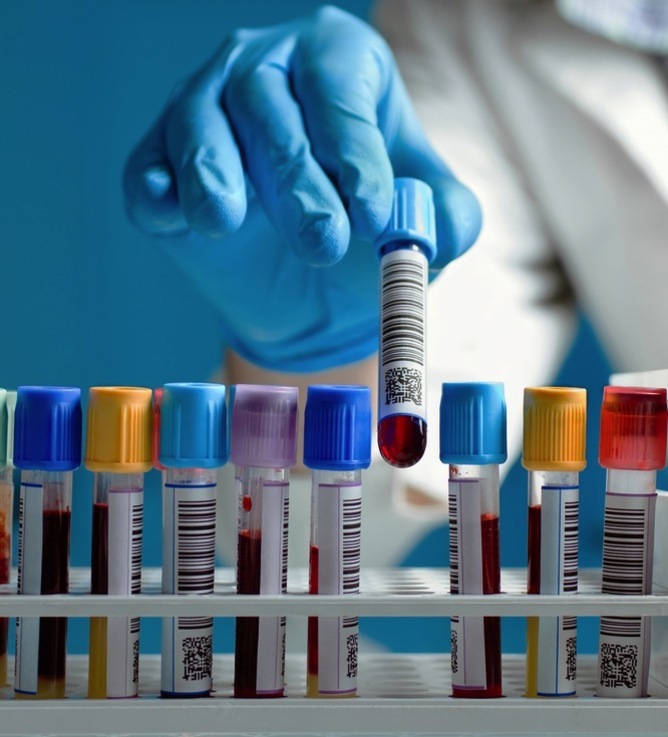 The vitamin D test results for a single blood sample returned enormously different results depending on which type of test was used and where the sample was analysed. Four samples (out of approximately 800) differed by more than 100nmol/L (that’s double the usual “sufficient” level of 50nmol/L) across two different tests, and 10% of the results differed by more than 50nmol/L. These are different measurements of the same sample! Fortunately work is underway to improve this abysmal situation. A group of international agencies are developing a reference measurement procedure and laboratories will be able to assess the performance of their test against this new standard. Vitamin D is the elixir of life, which is sometimes presented as vitamin D deficiency will kill us all.Given the challenges of accurately measuring levels of this vitamin and the disagreement on where the goalposts are, doing good consistent research to determine the benefits and detriments of high or low vitamin D is pretty difficult. There’s no doubt that severe vitamin D deficiency causes rickets in children, and an equivalent condition known as osteomalacia in adults. Old pictures of children with bowed legs or knock knees were often of children with rickets. And there’s pretty good evidence that supplementation with vitamin D and calcium, in combination with weight-bearing exercise, can decrease the risks of fractures in the elderly. Particularly in people who have low levels of vitamain D or calcium (or both) before starting supplementation. But most evidence for the other reported benefits of vitamin D comes from weak studies, and there’s little support from better studies. Given it is such good stuff, the higher my vitamin D level, the better.Vitamin D has traditionally been thought to be safe, requiring very high levels (greater than 400nmol/L) to reach toxicity. This toxicity cannot occur through sun exposure, but can through excessive supplementation. But as we delve more into the vitamin D story, studies are reporting risks to health at even modestly high levels, such as 80-100nmol/L. 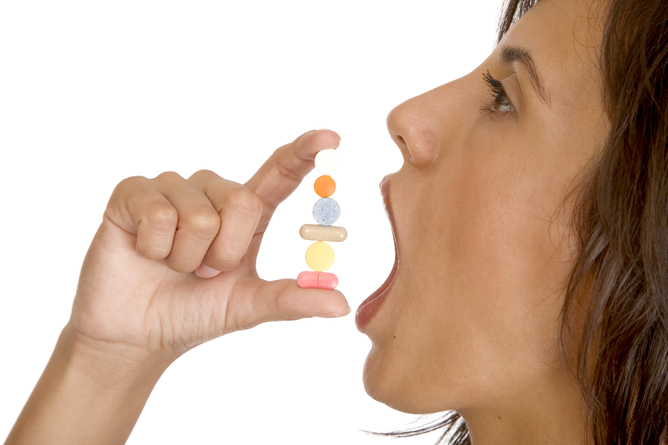 The evidence is not yet strong (much like the evidence of vitamin D’s benefits) but this type of association is typical of many vitamins and nutrients, where both too little and too much are bad for you . Sunscreen stops vitamin D production.The majority of vitamin D your body needs comes through exposure to the sun, specifically from shorter wavelength UVB radiation that is also the main cause of skin cancers. It may seem logical that if sunscreen stops the damaging UVB reaching sensitive skin cells, it will also stop vitamin D production by those same cells. But even if sunscreen is applied very thickly, vitamin D production is reduced but not stopped. And, of course, who puts it on that thickly? Most of us apply sunscreen because we are going to be in the sun. We put on a thin layer that is not too icky. Under these conditions, sunscreen actually doesn’t seem to make a lot of difference to vitamin D production. There’s a lot we don’t know about vitamin D. But we do know that Australia has the highest skin cancer incidence in the world: hundreds of thousands of skin cancers are removed each year at a cost of more than $700 million and there are over 2,000 deaths from it. Excessive sun exposure is the main cause of that problem. Getting the balance between vitamin D levels and sun protection right is an important health goal. More research is needed and it should be Australian research because our circumstances are different to those in the United States and Europe. We can’t just take results from there and use them here. While a simple solution would be nice, an evidence-based one is preferable and worth pursuing. Stories about our epidemic of vitamin D deficiency drive excessive testing at high cost and unknown value. And they probably just end up selling more vitamin supplements. But they also create confusion and diminish people’s confidence and resolve to reduce excessive UV exposure. As we all get older, this is a topic we should give some thought to. After all, this is going to happen to all of us eventually (not too soon, I hope). Read my section on “Planning your end of life” on my web site for more information on this topic. Peter Saul does not work for, consult to, own shares in or receive funding from any company or organisation that would benefit from this article, and has no relevant affiliations. Not content with saving lives, doctors are now credited with (accused of?) bringing the dead back to life. But how true are the stories we hear about people “coming back” from being dead and how does it work? Cardiopulmonary resuscitation (CPR), first popularised in the 1960s and widely taught to both first responders and the general public, prevents many deaths across the world. But it doesn’t bring dead people back to life. And the distinction is an important one. The problem can be easily stated – death is a process, but is forced to be an event. Organisms die in a piecemeal manner, with the most vulnerable bits going quickest. Some residual function can be found up to several hours past the point where the heart has stopped beating (though, contrary to myth, the fingernails do not continue to grow). But there are cogent medical, legal and philosophical reasons for death to be considered an event. Medically, there has to be a moment at which attempts to prolong life should cease (organ donation being a rare but important reason). Organ donation puts great pressure on doctors to define a moment of death. This is to honour the “dead donor rule”, which states that only dead people can be donors. Legally, time of death is important for determining who out-survived whom, and thus how the deceased person’s possessions will be distributed. If we regard death as a process, then either the process starts when the person is still living, which confuses the “process of death” with the process of dying, for we all regard someone who is dying as not yet dead, or the “process of death” starts when the person is no longer alive, which confuses death with the process of disintegration. Now we have a problem: we need to know what death is, and we need irrefutable tests to prove it. How are we doing? Obviously, it all got much harder when laws were introduced that defined two distinct kinds of death – circulatory (traditional) death and the new kid on the block, brain death. These laws were introduced in Australia in the early 1980s to legitimise brain death as a form of dying. This had the benefits of allowing treatment withdrawal and permitting organ donation without breaking the “dead donor rule”. Circulatory death is the “irreversible cessation of circulation of blood in the person’s body”, while brain death is the “irreversible cessation of all function of the person’s brain”. Many researchers are scrambling to unify these two definitions, by asserting that loss of circulation would inevitably cause irreversible cessation of all brain function. But, given that we don’t know how long the circulation has to stop before we can be confident that all brain function has stopped in all cases, it seems we are stuck with two definitions for now. The operative word in each definition is irreversible. The reason why CPR, however prolonged and enhanced by new technologies, does not bring people back to life is that clearly the cessation of circulation and brain function are not irreversible. So people who are “brought back to life” were, in retrospect, not dead in the first place. But seemingly miraculous results from CPR do pose a serious challenge: how are we then to be certain that cessation of function is irreversible? The law is steering clear of getting involved in Australia, and the decision is delegated to doctors. This was challenged in a legal case but the law, as it stands, was confirmed. Irreversible loss of brain function does have a set of tests that appear extremely reliable, as long as they are properly conducted. And nobody declared brain dead in Australia has ever lived to tell the tale. Irreversible loss of circulation is more difficult to certify, and has been brought into sharp focus by the re-introduction of organ donation after circulatory death, which demands both high certainty and an exact time of death. Organ donation after circulatory death has become widespread in Australia over the past ten years as a response to the very low numbers of donors, and now accounts for about 25% of all donors. What we know empirically is that a heart that has stopped will not spontaneously start again after quite a short time (so-called autoresuscitation). So cessation of circulation is permanent, but is it irreversible? It is, but only in one context; a morally and medically defensible decision not to keep trying to reverse it. 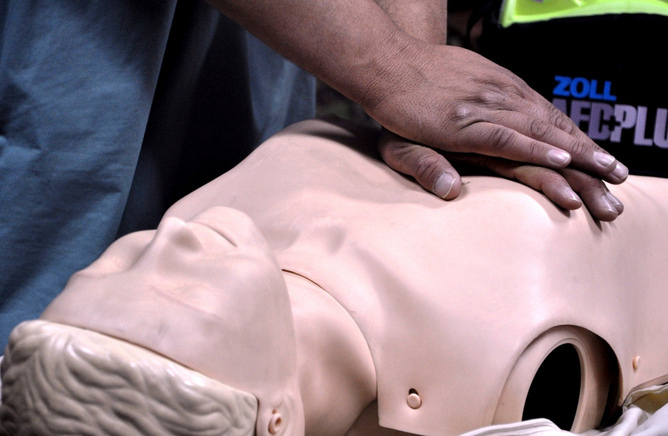 Such decisions are commonplace in modern medical practice (the no-CPR or “Do Not Resuscitate” order), and have a history almost as long as CPR itself. 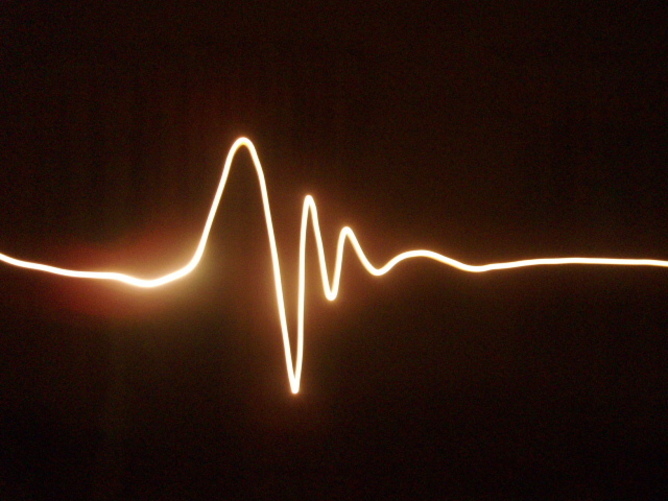 There are people who cannot be, should not be, or do not want to be resuscitated. For them, permanent loss of circulation is irreversible. For the rest – go for it! Non-hormonal management of hot flushes. Climacteric. 2013 Aug;16 Suppl 1:31-6. doi: 10.3109/13697137.2013.805525. Epub 2013 Jun 12. There is only one effective treatment for hot flushes – oestrogen. The way we use it now is much safer than in years gone by. Hot flushes are called vasomotor symptoms in medical speak. I don’t know why they cannot call a “hot flush” a hot flush. Doctors like to use fancy sounding words to confuse our patients, and to show how clever we are. Non-hormonal management of vasomotor symptoms. Obstetrics and Gynaecology, School of Medicine, University of Glasgow , UK. Abstract Vasomotor symptoms are the most common indication for the prescription of hormone replacement therapy since it is effective in over 80% of cases. In 1995, 37% of American women took hormone replacement therapy, principally for this purpose. However, following the publication of results from the Women’s Health Initiative, as many as half of these women in the US and in the UK and New Zealand discontinued hormone therapy. Discontinuation of estrogen is often accompanied by a return of vasomotor symptoms; however, only a small number (18%) of women report restarting hormone therapy. Alternatives are available, but limited knowledge on etiology and mechanisms of hot flushing represents a major obstacle for the development of new, targeted, non-hormonal treatments, and no current alternatives are as effective as estrogen. We keep coming back to the same fact – exercise benefits us in every way. Bigley AB, Spielmann G, Lavoy EC, Simpson RJ. Laboratory of Integrated Physiology, Department of Health and Human Performance, University of Houston, 3855 Holman Street, Houston, TX 77204, USA. Electronic address: abbigley@central.uh.edu. Cancer incidence increases with advancing age. Over 60% of new cancers and 70% of cancer deaths occur in individuals aged 65 years or older. One factor that may contribute to this is immunosenescence – a canopy term that is used to describe age-related declines in the normal functioning of the immune system. There are multiple age-related deficits in both the innate and adaptive systems that may play a role in the increased incidence of cancer. These include decreased NK-cell function, impaired antigen uptake and presentation by monocytes and dendritic cells, an increase in ‘inflammaging’, a decline in the number of naïve T-cells able to respond to evolving tumor cells, and an increase in functionally exhausted senescent cells. There is consensus that habitual physical exercise can offer protection against certain types of cancer; however the evidence linking immunological mechanisms, exercise, and reduced cancer risk remain tentative. Multiple studies published over the last two decades suggest that exercise can mitigate the deleterious effects of age on immune function, thus increasing anti-cancer immunity. The potential ameliorative effect of exercise on these mechanisms include evidence that physical activity is able to stimulate greater NK-cell activity, enhance antigen-presentation, reduce inflammation, and prevent senescent cell accumulation in the elderly. Here we discuss the role played by the immune system in preventing and controlling cancer and how aging may retard these anti-cancer mechanisms. We also propose a pathway by which exercise-induced alterations in immunosenescence may decrease the incidence of cancer and help improve prognosis in cancer patients. 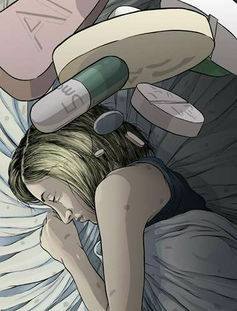 Many of my patients are on antidepressants prescribed by their doctors. SOmetimes they are necessary, but often I believe they are given inappropriately. After all, it is quicker to dish out a pill than talk to someone and try to get to the cause of the problem. Often the cause is hormonal, and better treated with hormones. Founding Partner of The Conversation. Spot the problem in this scenario. Richard* is stressed. While he’s a high-flyer (a Rhodes Scholar no less), he’s under the pump at work and has just moved his family across nations. The job is taking more than it’s giving back. He’s in a dark place – very down, unmotivated, ill-humoured and lacking energy – so oblivion seems enticing. Worryingly, he also has a family history of depression. Richard visits his family doctor who refers him to a psychiatrist. So far, this is unremarkable – as depression management goes. With relief, Richard enters the psychiatrist’s plush rooms, sighs, and prepares to unburden himself and submit to wise counsel. But he’s in for a surprise. Within minutes he’s told he has depression, needs medication, and will likely do so for life. He leaves with sample pack of antidepressants in hand, and troubles still firmly packed in kit bag. If you’re like me, you see the problem quickly. Richard, and around 70% of the people who share his diagnosis, can implicate a psychosocial stressor in the genesis of his depression. But his doctor has failed to identify and address it, even though stressor-focused treatments are available. Evidence-based psychotherapy, in particular cognitive behaviour therapy (CBT), is as effective as medication in the common, lesser grades of depression. You read that correctly – CBT is as good as drugs at relieving the lowered mood, hopelessness, fatigue, guilt, and poor concentration that figure in the depressive diagnostic checklist. And not only does psychotherapy reduce psychic distress, it also tackles stressors. In addition, CBT tutors healthy scepticism about the negative perceptions that pepper the depressive psychological landscape. Such ideas cause undue pessimism and arise, almost always, from biased information processing. Challenging negative thoughts is a critical element in the therapeutic success of CBT. Incredibly, doctors who fail to unearth and address stressful life events, or guide a stance of scepticism to negative thinking, do nothing untoward. While recent guidelines laudably embrace a broader role for psychotherapy, depression initiative beyondblue still cites a publication that concludes, because drugs and psychotherapy are equally effective, really, either will do fine. As the authors of that paper state, it’s “not so much what you do but that you keep doing it”. But is it really all right to just give people antidepressants? Does a doctor have a duty to do more, and provide psychotherapy? Try this thought experiment. You have abdominal pain and visit your doctor, who diagnoses gallstones and recommends an operation. You become increasingly anxious, agitated, and ultimately morose at the prospect of surgery. But the doctor has a pill for that – take an antidepressant and your fears will fall away so that you can bravely front up to surgery. This scenario is laughable, of course. A doctor would never recommend antidepressants to foster acceptance of an unpalatable circumstance. Rather, the physician would explore your fears, determine what aspects of surgery concern you, and offer information about the pre- and post-operative processes. In essence, the doctor would provide you with information that is material to your decision about surgery, enabling you to cope with your new circumstance and to work out which course is best. And in doing so your doctor conforms to an entrenched moral duty – to promote patient autonomy, that is, the ability to self-determine based on information that is critical to interests. But, despite respect for autonomy being embedded squarely in the moral firmament of informed consent, it seems alien to many physicians that information, not just about treatment but that results from it could also be material. Richard will, in all likelihood, believe it material to understand which stressor caused his depression, how best to address it, and how to simultaneously deal with his relentless negative thinking. To glean this, he needs psychotherapy, not just information about it. And doctors know this. They already promote autonomy through a range of treatment regimes. Specialists in drug and alcohol rehabilitation supply crucial facts about limiting substance use, nutrition consultants advise overweight patients to diet and exercise, hypertension specialists provide strategies for reducing salt intake, and so on. In each case, a treatment is recommended not just because it’s effective, but because it provides information material to crucial life choices. And this is precisely why evidence-based psychotherapy ought to be provided to people with depression. Drugs may treat symptoms but they do nothing to help people navigate depression, appraise and manage stressors, or critique the validity of their negative thoughts. A prescription for antidepressants might fulfil a physician’s clinical duty of care on current guidelines, but drugs alone fall short in the moral domain. Richard opted for the DIY solution. Luckily for him, he had a formidable analytical arsenal at his disposal, and his critical faculties had not been fatally routed. He rounded on his job as a noxious influence in his life and bravely resigned, to the amazement of his boss. The depression lifted, sans medication, in less than a month. Recently, the black dog scratched at his door again. This time he was prepared, and confidently asked his new boss to cut back his workload a little. Most people are not endowed with such self-possession. What people with depression need are doctors prepared to pay more than lip service to autonomy and to provide psychotherapy in those common grades where evidence supports its use. Paul Biegler is the author of The Ethical Treatment of Depression: Autonomy through Psychotherapy (MIT Press 2011), which won the Australian Museum Eureka Prize for Research in Ethics. If you think you may be experiencing depression or another mental health problem, please contact your general practitioner or in Australia, contact Lifeline 13 11 14 for support, beyondblue 1300 22 4636 or SANE Australia for information. Mar. 14, 2012 — The difficulties that many women describe as memory problems when menopause approaches are real, according to a study published recently in the journal Menopause, the journal of the North American Menopause Society. The findings won’t come as a surprise to the millions of women who have had bouts of forgetfulness or who describe struggles with “brain fog” in their late 40s and 50s. But the results of the study, by scientists at the University of Rochester Medical Center and the University of Illinois at Chicago who gave women a rigorous battery of cognitive tests, validate their experiences and provide some clues to what is happening in the brain as women hit menopause. The study is one of only a handful to analyze in detail a woman’s brain function during menopause and to compare those findings to the woman’s own reports of memory or cognitive difficulties. The study included 75 women, from age 40 to 60, who were approaching or beginning menopause. The women underwent a battery of cognitive tests that looked at several skills, including their abilities to learn and retain new information, to mentally manipulate new information, and to sustain their attention over time. They were asked about menopause symptoms related to depression, anxiety, hot flashes, and sleep difficulties, and their blood levels of the hormones estradiol and follicle-stimulating hormone were measured. Weber’s team found that the women’s complaints were linked to some types of memory deficits, but not others. Women who had memory complaints were much more likely to do poorly in tests designed to measure what is called “working memory” — the ability to take in new information and manipulate it in their heads. Such tasks in real life might include calculating the amount of a tip after a restaurant meal, adding up a series of numbers in one’s head, or adjusting one’s itinerary on the fly after an unexpected flight change. Scientists also found that the women’s reports of memory difficulties were associated with a lessened ability to keep and focus attention on a challenging task. That might include doing the taxes, maintaining sharp attention on the road during a long drive, completing a difficult report at work despite boredom, or getting through a particularly challenging book. Weber notes that such cognitive processes aren’t what typically come to mind when people think of “memory.” Oftentimes, people consider memory to be the ability to tuck away a piece of information, such as a grocery item you need to remember to buy, and to retrieve it later. The team found little evidence that women have problems with this ability. Weber notes, though, that the 75 women in the study were more highly educated and on average of higher intelligence than the general population, and a decline might have been difficult to detect. Women who reported memory difficulties were also more likely to report symptoms of depression, anxiety, and sleep difficulties. The team did not find any link between memory problems and hormone levels. Generally anywhere from one-third to two-thirds of women during this stage of life report forgetfulness and other difficulties that they view as related to poor memory. “If you speak with middle-aged women, many will say, yes, we’ve known this. We’ve experienced this,” said Weber, assistant professor of Neurology. “But it hasn’t been investigated thoroughly in the scientific literature. “People are surprised to learn that typically, for example in elderly adults, there really isn’t a lot of evidence that memory complaints are tied to real memory deficits. Menopausal women are different. They are good at rating their memory skills,” added co-author Pauline Maki, Ph.D., director of Women’s Mental Health Research in UIC’s Department of Psychiatry. “We don’t know why but perhaps it’s because their memory changes are more sudden and they are aware of other changes that accompany the menopause, like hot flashes. This might help them to better assess their mental abilities,” Maki added. The latest findings are in line with results from a previous study that Weber did with Mark Mapstone, Ph.D., associate professor of Neurology, as well as results from a study which involved hundreds of women but used less sensitive measures to look at cognitive performance. For women who feel they are having memory problems, Weber has some advice. “When someone gives you a new piece of information, it might be helpful to repeat it out loud, or for you to say it back to the person to confirm it — it will help you hold onto that information longer,” Weber said. “Make sure you have established that memory solidly in the brain. Health project coordinator Jennifer Staskiewicz, now of the Department of Pediatrics at the University of Rochester Medical Center, also contributed to the study, which was funded by the National Institute on Aging. Green tea is something that just keeps giving. I have written frequently about the wonders of this cheap, safe and simple substance ( see under archives Nov 27th,28th,29th,Nov 14th and April 18th). Now we have further proof of its benefits. There is a whole chapter in my book “Live Well Over 100” devoted to the benefits of green tea, and that book was written 16 years ago. If you do not drink green tea regularly, you are robbing yourself of one of the best things we can do for our bodies. Int J Womens Health. 2013 Aug 7;5:477-86. doi: 10.2147/IJWH.S41021. eCollection 2013. Treatment of symptomatic uterine fibroids with green tea extract: a pilot randomized controlled clinical study. Roshdy E, Rajaratnam V, Maitra S, Sabry M, Allah AS, Al-Hendy A. Department of Public Health and Community Medicine, Sohag University, Sohag, Egypt. Uterine fibroids (UFs, also known as leiomyoma) affect 70% of reproductive-age women. Imposing a major burden on health-related quality-of-life (HRQL) of premenopausal women, UF is a public health concern. There are no effective medicinal treatment options currently available for women with symptomatic UF. To evaluate the efficacy and safety of green tea extract (epigallocatechin gallate [EGCG]) on UF burden and quality of life in women with symptomatic UF, in a double-blinded, placebo-controlled randomized clinical trial. A total of 39 reproductive-age women (age 18-50 years, day 3 serum follicle-stimulating hormone <10 \U/mL) with symptomatic UF were recruited for this study. All subjects had at least one fibroid lesion 2 cm(3) or larger, as confirmed by transvaginal ultrasonography. The subjects were randomized to oral daily treatment with either 800 mg of green tea extract (45% EGCG) or placebo (800 mg of brown rice) for 4 months, and UF volumes were measured at the end, also by transvaginal ultrasonography. The fibroid-specific symptom severity and HRQL of these UF patients were scored at each monthly visit, using the symptom severity and quality-of-life questionnaires. Student’s t-test was used to evaluate statistical significance of treatment effect between the two groups. Of the final 39 women recruited for the study, 33 were compliant and completed all five visits of the study. In the placebo group (n = 11), fibroid volume increased (24.3%) over the study period; however, patients randomized to green tea extract (n = 22, 800 mg/day) treatment showed significant reduction (32.6%, P = 0.0001) in total UF volume. In addition, EGCG treatment significantly reduced fibroid-specific symptom severity (32.4%, P = 0.0001) and induced significant improvement in HRQL (18.53%, P = 0.01) compared to the placebo group. Anemia also significantly improved by 0.7 g/dL (P = 0.02) in the EGCG treatment group, while average blood loss significantly decreased from 71 mL/month to 45 mL/month (P = 0.001). No adverse effects, endometrial hyperplasia, or other endometrial pathology were observed in either group. EGCG shows promise as a safe and effective therapeutic agent for women with symptomatic UFs. Such a simple, inexpensive, and orally administered therapy can improve women’s health globally. We keep coming back to the same thing – for a healthy life and a sense of well-being, being active and eating well is essential. The evidence keeps coming……. Sweet, starchy foods like sugar and white bread probably cause endometrial cancer, while coffee probably protects against it, researchers reported on Tuesday. And a review of the available evidence reinforces that being obese is probably the greatest cause of the cancer, the American Institute for Cancer Research (AICR) and the World Cancer Research Fund International said. “AICR now estimates that most cases of endometrial cancer (59 percent, or about 29,500 every year) could be prevented in the U.S. if women were active for at least 30 minutes a day and maintained a healthy body weight,” the group said in a statement. Fat cells also secrete estrogen and that’s one reason why obesity can cause endometrial cancer, says Dr. Elisa Bandera of Rutgers University in New Jersey, who helped lead the study. “There is a very, very strong and consistent association with obesity,” Bandera said in a telephone interview. Testosterone reduces breast cancer risk. I often get asked by women why I add testosterone to their prescriptions. The reply is that it is a wonderful hormone for women in many ways and is easily misunderstood in popular culture. Read my blog on March the 3rd (Find under archives) I have always known it reduces the risk of breast cancer, but here is even more confirmation. Reduced breast cancer incidence in women treated with subcutaneous testosterone, or testosterone with anastrozole: A prospective, observational study. Millennium Wellness Center, 228 E. Spring Valley Road, Dayton, Ohio 45458, USA; Wright State University Boonshoft School of Medicine, Department of Surgery, 3460 Colonel Glenn Highway, Dayton, Ohio 45435, USA. Electronic address: rglaser@woh.rr.com. There is evidence that androgens are breast protective and that testosterone therapy treats many symptoms of hormone deficiency in both pre and postmenopausal patients. However, unlike estrogen and progestins, there is a paucity of data regarding the incidence of breast cancer in women treated with testosterone therapy. This study was designed to investigate the incidence of breast cancer in women treated with subcutaneous testosterone therapy in the absence of systemic estrogen therapy. This is a 5-year interim analysis of a 10-year, prospective, observational, IRB approved study investigating the incidence of breast cancer in women presenting with symptoms of hormone deficiency treated with subcutaneous testosterone (T) implants or, T combined with the aromatase inhibitor anastrozole (A), i.e., T+A implants. Breast cancer incidence was compared with that of historical controls reported in the literature, age specific Surveillance Epidemiology and End Results (SEER) incidence rates, and a representative, similar age group of our patients used as a ‘control’ group. The effect of adherence to T therapy was also evaluated. Since March 2008, 1268 pre and post menopausal women have been enrolled in the study and eligible for analysis. As of March 2013, there have been 8 cases of invasive breast cancer diagnosed in 5642 person-years of follow-up for an incidence of 142 cases per 100000 person-years, substantially less than the age-specific SEER incidence rates (293/100000), placebo arm of Women’s Health Initiative Study (300/100000), never users of hormone therapy from the Million Women Study (325/100000) and our control group (390/100000). Unlike adherence to estrogen therapy, adherence to T therapy further decreased the incidence of breast cancer (73/100000). T and/or T+A, delivered subcutaneously as a pellet implant, reduced the incidence of breast cancer in pre and postmenopausal women. Evidence supports that breast cancer is preventable by maintaining a T to estrogen ratio in favor of T and, in particular, by the use of continuous T or, when indicated, T+A. This hormone therapy should be further investigated for the prevention and treatment of breast cancer. Copyright © 2013 The Authors. Published by Elsevier Ireland Ltd.. All rights reserved.